In a prime location, with an easy drive to Watergardens Town Centre, Watergardens Train Station, local schools, parks and all your everyday amenities. 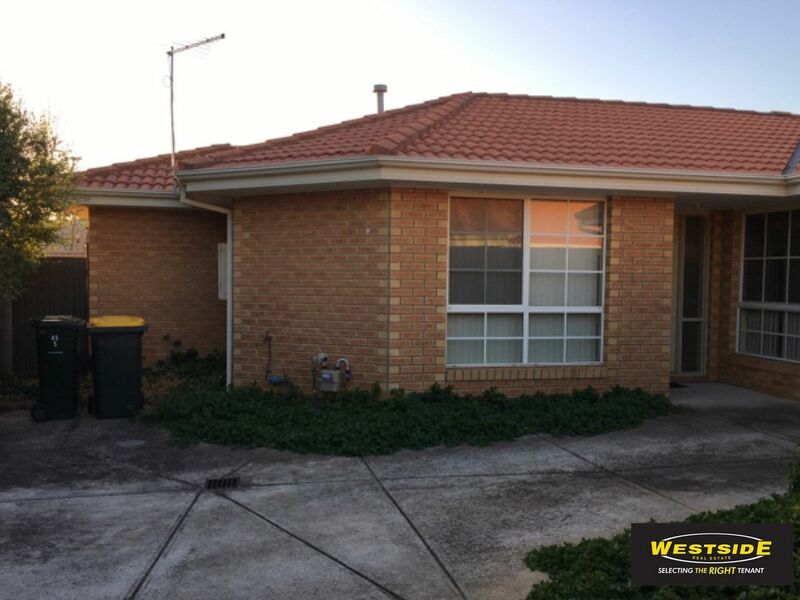 This brick veneer unit comprises two bedrooms with built in robes, spacious lounge area. Features include gas wall heater, kitchen with gas cooktop, electric oven, vertical blinds. Exterior includes gas hot water unit, low maintenance courtyard and single lockup garage.